Ab Baars and Joost Buis are great admirers of Duke Ellington. The apparent simplicity and the clearness of his compositions have had great influence on both players and have shaped their musical worlds. the program by Baars-Buis dedicated to the spirit of Ellington. 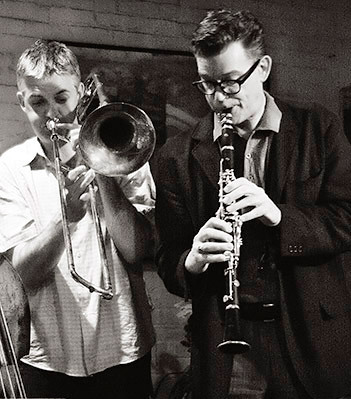 Ab Baars and Joost Buis are established names in the Amsterdam jazz and improvised music scene, Baars as a reeds player/composer for among others Duo Baars-Henneman and ICP Orchestra and Buis as a trombone player and founder of the Astronotes tentet. In the past the Ab Baars Trio has performed the Ellington-program Kinda Dukish in collaboration with Joost Buis.